Anne Forestier finds herself in the wrong place at the wrong time when she blunders into a raid on a jewellers on the Champs-Élysées. Shot three times, beaten almost beyond recognition, she is lucky to survive, but her ordeal has only just begun. Lying helpless in her hospital bed, with her assailant still at large, Anne is in grave danger. Just one thing stands in her favour – a partner who will break all the rules to protect the woman he loves: Commandant Camille Verhœven. For Verhœven it’s a case of history repeating. He cannot lose Anne as he lost his wife Irène. But his serious breach of protocol – leading a case in which he is intimately involved – leaves him out on a limb, unable to confide in even his most trusted lieutenants. And this time he is facing an adversary whose greatest strength appears to be Verhœven’s own matchless powers of intuition. 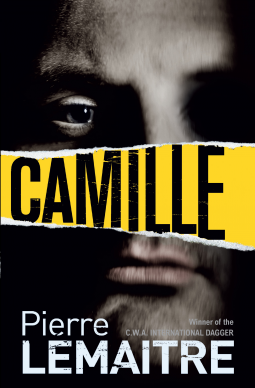 The third book in the Verhœven Trilogy – and what a masterpiece this is I have almost forgiven Lemaitre for the bloodthirsty nature of the first book in the series (which you may recall I read the first book after #2 Alex, not before). This book has a few savage moments but the wonderful narrative full of twists, turns and manipulations saves the book from a focus purely on brutality. Commandant Verhoeven is brilliant in this episode – we are touched and sadden by his situation, we understand his decisions, his re –actions, his dilemmas, we are worried about history repeating itself. Verhoeven is a very empathetic character and we are indeed disappointed at how the final chapters play out for him; Verhoeven is more than this. He deserves better. But fear not Verhoeven fans I have determined that there is already a 4th book in this series – Rosy and John released in French last year. We await the English translation with anticipation. This entry was posted in Crime Fiction, Police Procedural, Post Script: Book Reviews, Translated Fiction and tagged Crime fiction, Verhœven Trilogy #3. Bookmark the permalink. Margot I agree with you – there are some particularly nasty scenes in all the books in this series – I think the first book is perhaps the most grim, despite that element the story telling is great and you grow attached to the protagonist. I enjoyed Irène and Alex – violence in books doesn’t normally bother me but I have to say it’s a relief to hear that the third book in the trilogy is less bloody than the first two!